Foam rollers and roller sticks have become quite popular among athletes and workout aficionados for some time now. And why not? After all, these two excellent self-massage tools have maintained a great track record in helping uses self-administer myofascial release. 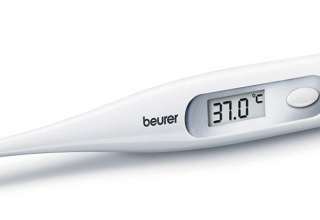 By optimizing performance and preventing injuries with great efficacy, these exceptional tools have helped many dedicated athletes become successful in their athletic endeavors. Of course, it helps knowing how to use a foam roller and roller stick to get the most out of the advantages they offer. As to that, we’ve provided a list to help you out. Here are three effective routines to use a foam roller. Lie on a flat surface and place the roller under your back, making sure that its full length is centered along the spine. Keep your knees bent and your feet flat on the floor. Now clasp your Gently lift your head and shoulders at a 5-degree angle and maintain the position. Gently raise your right foot off the floor and keep your knees bent while you’re at it. Once your right foot is pointing at the wall at a right angle, bring it back down. Do the same for the left foot. Keep alternating between the two feet until you’re able to do 10 reps.
To work those kinks out in your upper back, lie flat on your back with the foam roller right placed beneath your shoulder blades. Arms crossed over your chest, lift your hips off the floor. Do this and you’ll feel some pressure around the tight areas across your upper back. Hold the position for at least 60 seconds. 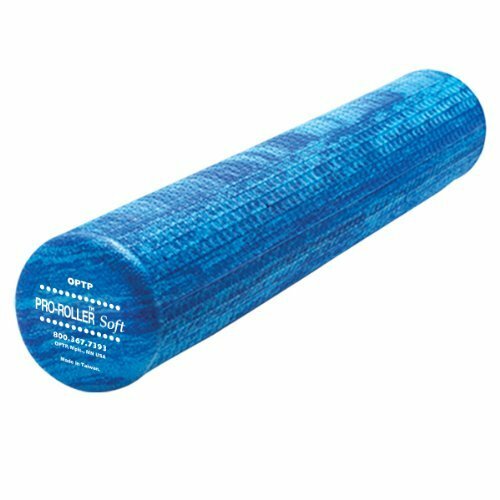 Trigger Point - The Grid - Foam Roller 4.4 / 5 $$$ More details! 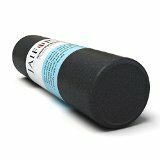 Jaifor Foam Roller Molded 4.2 / 5 $$$ More details! 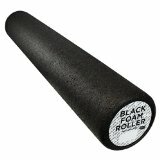 EPE Black High Density Foam Roller 4.6 / 5 $$ More details! 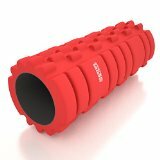 The Muscle Mauler Best Foam Roller 4.7 / 5 $$$ More details! ProSource Ultra Sports Medicine Roller 4.5 / 5 $$ More details! 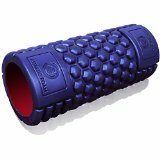 AccuPoint Grid Foam Roller 4.4 / 5 $ More details! 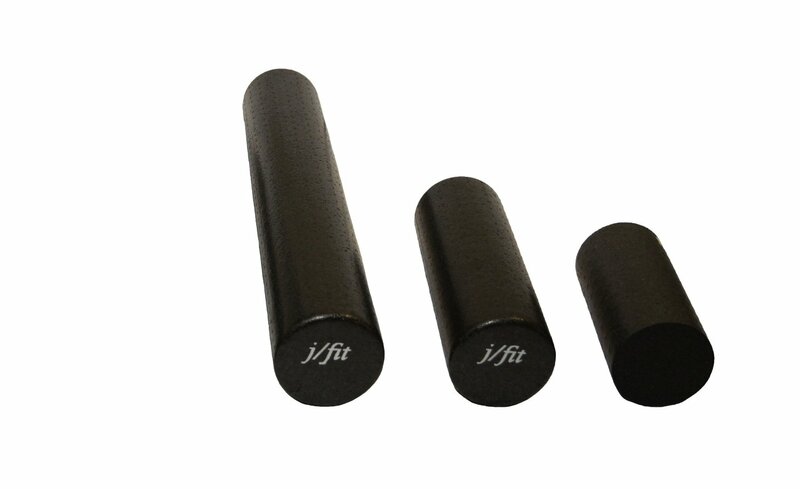 j/fit Super High Density Foam Rollers 4.4 / 5 $$$ More details! OPTP Pro-Roller - Soft Blue 4.4 / 5 $$$ More details! 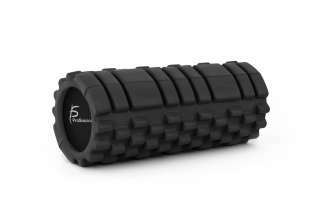 DSS RumbleRoller Foam Rollers 4.5 / 5 $$ More details! Pushups are great for strengthening the back arms and the upper body, but you can make those pushups more effective by using a foam roller. To do this, assume a regular pushup position but with the foam roller placed right under your knees. Push yourself up off the ground and ease your body back down on it again like you normally would in a regular pushup. Lie on the floor with your legs extended. For support, place both hands on the floor on each side of you. With the foam roller neatly placed under your calves, gently roll the roller back and forth between the knees and the ankles. 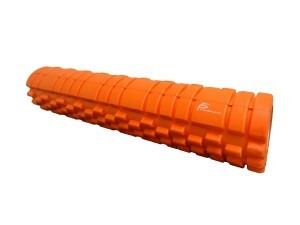 Muscle rollers are best at providing instant pain relief. Used on a daily basis, muscle rollers can provide reliable muscle maintenance and prevent injuries. Here are the five most recommended techniques when treating localized areas. 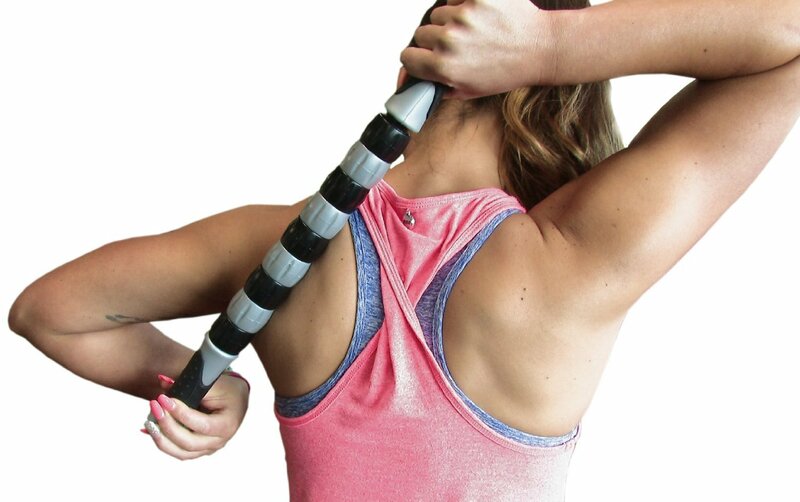 Turn your head 10-degrees to the right and slide the muscle roller stick on the left side of the neck. Do the same procedure in the opposite direction. 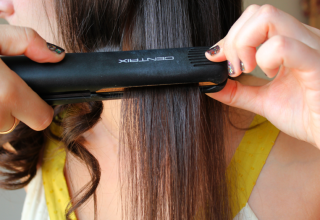 Drop your chin and slide the roller stick across the back of the neck as well. To roll the right shoulder, stand up straight, grab the left end of the roller stick from your back with the left hand and the right end with the right hand. Use the left hand as an anchor as you roll your right shoulder using the right hand. To roll the left shoulder, do the same procedure but in reverse. To roll the left side of the upper back, grab the left end of the stick with the left hand and point your left elbow forward. Grab the right end of the stick from behind with the right hand to serve as anchor. Using your left hand, slide the stick back and forth between the spine and shoulder blade. To roll the right upper back, perform he same procedure but in reverse. Raise the left leg by stepping on a raised platform. Grab both ends of the stick with each hand and roll the left hip. Using the same stance, proceed by working on the front leg as well. Do the same procedure in reverse to work on the right leg. Place the roller stick across the lower back and grab both ends with each hand. Roll the stick up and down using short strokes. Do the same procedure between the belt line and the buttocks. For deeper penetration, gently bend backward at the waist and anchor the left end with the left elbow. Grab the right end with your palm up for leverage and slide the stick up and down via short strokes. Do the same procedure but in reverse to work on the opposite side. Both roller sticks and foam rollers have their own respective advantages and disadvantages. 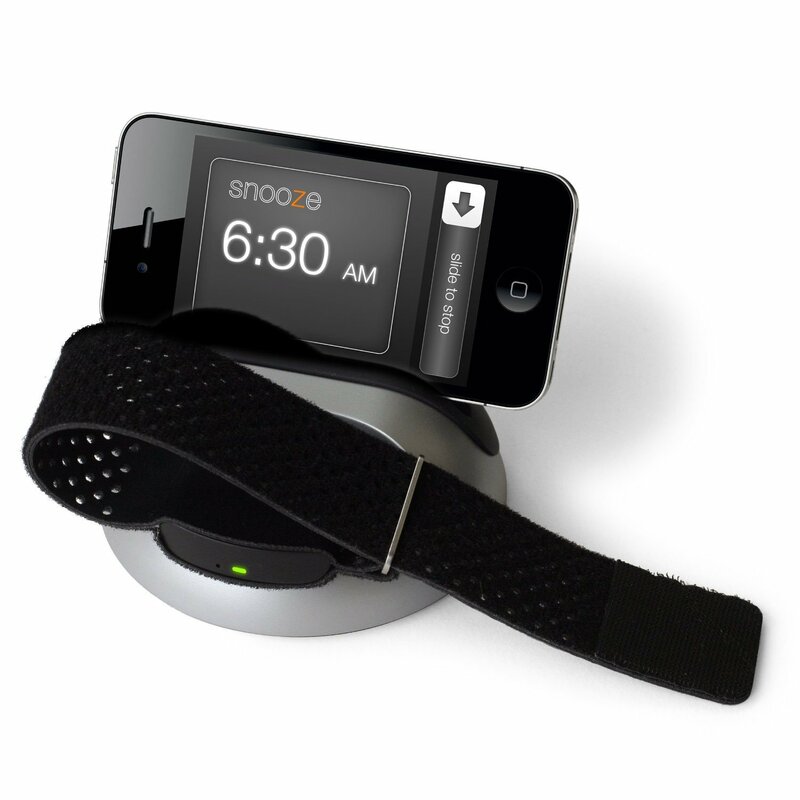 The right tool for you will depend on the type of workout that you do on a regular basis. Owning both, however, can give you the best of both worlds,and the only way you can get the most out of their respective advantages is by learning many of the tried-and-tested techniques used by long-term users. We have searched the Internet for the best and reviewed foam rollers here and roller sticks here.